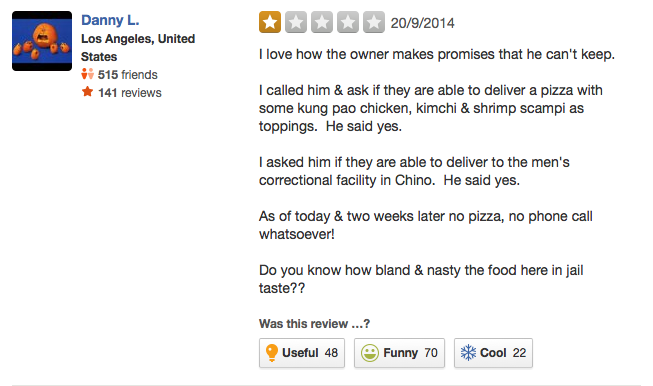 The amount of blog inches filled with comments about Yelp's filter continue to boggle. But it is the most powerful review site on the planet, so we must continue to take them seriously. Fed up with having good reviews filtered, the owner began inviting diners to write one star reviews on Yelp, he even offered free meals. And it worked: he got the one stars and (he claims) business is on the up. But that's not why we're adding to the noise. If Yelp are so proud of their filter, why is Botto's listing choc-a-bloc with reviews (of all ratings) that are obviously written by people who have never visited Botto's (and in several cases never visited California)? 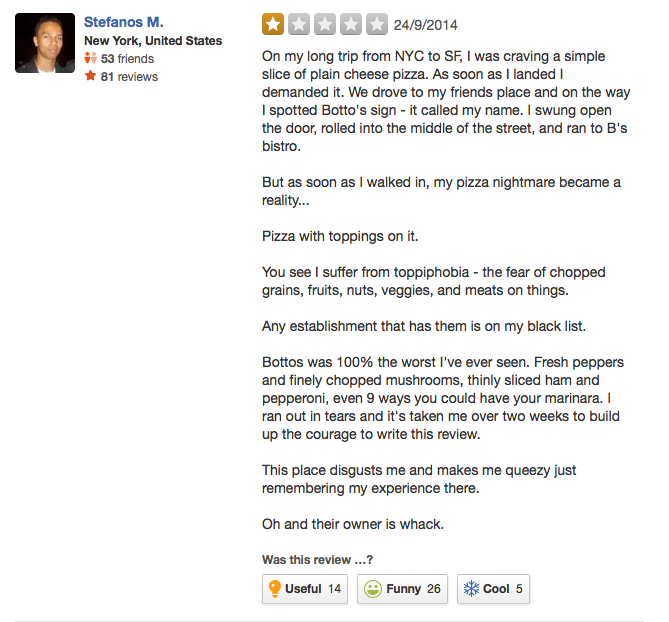 If you would like to see hundreds more like them, just go to Botto's listing on Yelp. 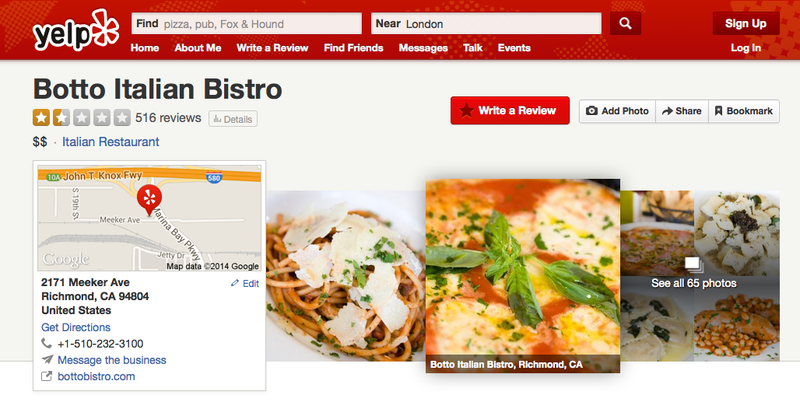 If anyone thinks Yelp's review filter needs tweaking, tell them, not us. P.S. To see how helpful Yelp and Yelpers have been for this Washington D.C. eatery when it was visited by an NBC reporter who had recently returned from Liberia go here.